This year, the Oregon legislature passed a law granting degrees to Americans of Japanese ancestry whose college careers were cut short by relocation and World War II. 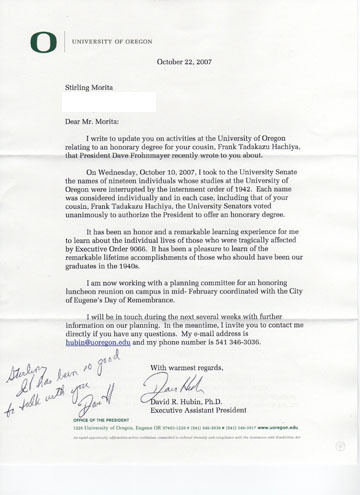 The University of Oregon showed admirable outreach and contacted Stirling Morita. 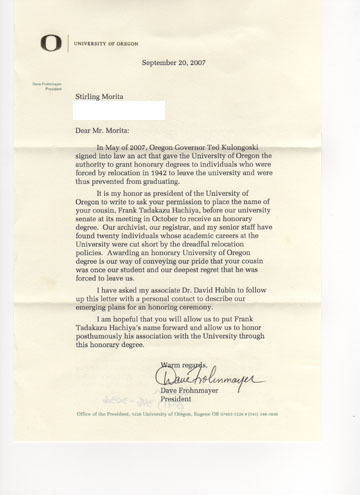 Here are two letters from the University of Oregon's president's office.